Recently, the US Food and Drug Administration (FDA) approved the newest treatment for opioid addiction: an implant in your arm. Find out more about this new approach and if it could really help stop the opioid addiction dilemma affecting the globe. With opioid addiction rates growing at an alarming pace worldwide, countries are scrambling to find solutions to this devastating phenomenon. The latest approach to opioid treatment, Probuphine, is a sub-dermal implant. Opioid addiction is one of the most common substance addictions in the world. Opioids include both legal and illegal drugs; examples of legal opioids being codein and oxycodone, and illegal opioids being heroin and opium. Due to the legality of many opioids, there is a certain ease of access to those which are also prescription drugs. Often times, people who become addicted to opioids begin taking the drug as prescribed by a doctor, then become progressively dependent on the substance. As prescription drug costs rise and doctors are under pressure to be much more restrictive in dolling out these prescriptions, more and more people who suffer from opioid addiction turn to heroin to satisfy their dependency. According to the UN World Drug Report, “Opioids top the list of problem drugs that cause the most burden of disease and drug-related deaths worldwide.” In fact, The World Health Organization has estimated that 13.5 million people take opioids around the globe. Opioid production and addiction have increased every year with a higher and higher death toll worldwide. The most common treatments available for opioid addiction are detoxification and opioid maintenance therapy, in addition to psychotherapy. Due to the severe physiological effects of opioid addiction, most cases require individuals to replace the drug they crave with a less harmful medication to slowly wean the body off of being dependent and use medication to detoxify the body. The success rates for these therapies varies depending on many factors – one key factor being whether the individual is diligent about taking the medication that can ease withdrawal symptoms and cravings. What is the Arm Implant? The new technology named, Probuphine, consists of four matchstick-sized implants placed in the upper arm. 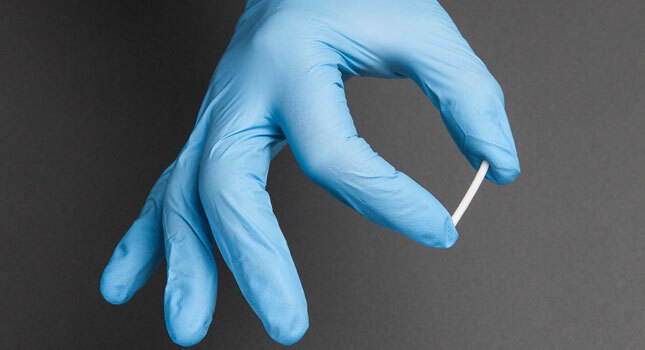 The implant contains buprenorphine, a commonly used medication proven to mitigate overpowering cravings and relieve the symptoms of opioid withdrawal. Buprenorphine itself is a synthetic opioid but it has much less of an effect on the body. It is an alternative method to trying to stop the opioid addiction cold turkey, as this has a very low success rate in terms of long-term recovery. Instead, its aim is to slowly transition the body away from opioid dependence, comparable to a smoker using a nicotine patch to quit smoking. Probuphine holds enough medication for six months of treatment and costs between $1,000- 1,500 USD per month. Why an Implant for Opioid Addiction? Buprenorphine is a medication already available in tablet form, so why is an implant necessary? The implant was created with the goal of accomplishing more successful long-term recoveries from opioid addiction. There are several problems that arise from taking buprenorphine in tablet form. The most common problem is that in many instances people run out of or skip their medication. When this happens, they experience intense cravings which are nearly impossible to withstand and withdrawal symptoms that are even worse. This often leads people with an opioid addiction to seek out their vice and relapse. The creators of Probuphine, Braeburn Pharmaceuticals, feels so confident in their product, they guarantee the money back to anyone who relapses while using the arm implant. Additionally, Braeburn Pharmaceuticals states that if anyone using Probuphine has medical bills higher than comparable patients taking buprenorphine orally, the company will cover the difference in the medical costs. Braeburn looks to be putting their money where their mouth is, betting that Probuphine patients will have less instances of relapse and developing HIV and hepatitis C through continued intravenous opioid use. While there seems to be a lot of excitement about this new and very expensive treatment, it has not escaped criticism. Braeburn pharmaceuticals paid for a study to determine the efficacy of Probuphine. The results yielded that only 12 % of patients with the Probuphine implant relapsed, compared to the 28% who took buprenorphine orally. On the surface, this research appears to prove the success of the arm implant. However, the study had arguably questionable parameters. The participants of the research were those who had already been stable and taking their medication orally for at least 6 months. In other words, those who were tested were not those who had demonstrated a pattern of skipping dosages in the first place. In addition, those with any psychiatric conditions were not eligible to be a part of the study. This is problematic, as addiction is often co-occurring with other mental health concerns, which could lead to someone forgetting or skipping an oral dosage — yet these people were not a part of the study. In addition, the implant inevitably comes with side-effects. The most common side-effects are headaches, depression, nausea, vomiting, and constipation, as well as pain or itchiness at the site of the implant. Other critics of the implant are those who promote an abstinence-only approach to recovery. These people believe that taking a substitute drug does not cure one of addiction, but simply replaces one addiction with another. Is Probuphine a Quick Fix for Addiction? Likely the most detrimental notion associated with this new treatment is that it may give people the false sense of being a quick fix for addiction; that it not only ensures recovery but makes the process easier. This is a danger, because no matter the technology, recovery is not an easy journey. Recovery from opioid addiction not only requires the commitment to medication in some cases, but more importantly, the commitment to a cognitive-behavioural change – possible only through attending counselling and support groups and making lifestyle changes. If Probuphine is propagated as an easy solution to an illness as difficult as addiction, it is hard to say how high the recovery rates will be. Whether or not Probuphine will have a significant impact on the rates of recovery, it is encouraging that new technology is emerging to help this growing and devastating trend of opioid addiction. However, it remains important to consider that recovery is a multi-faceted process and that often times addiction is combined with other mental wellness issues that must also be addressed. There are multiple options available for people struggling with opioid addiction, it is more important than ever to think critically about the various treatment methods and which one might be right for you. At The Cabin Hong Kong, our trained clinical professionals are here to help you determine the best personalised treatment to ensure your recovery. If you or someone you know is struggling with an opioid addiction, please contact us today.